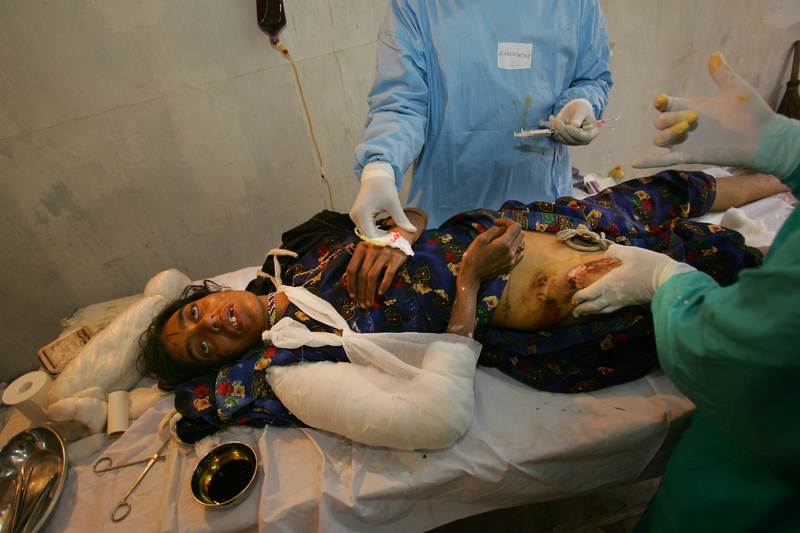 MUZAFFARABAD, PAKISTAN-OCTOBER 19: A woman is treated in a make-shift trauma facility Muzaffarabad, Pakistan controlled Kashmir October 19,2005. Many of the seriuosly injured are still being evacuated from remote mountainous villages 11 days after the devastating earthquake. The current death toll is now believed to be 50,000 from the South Asian earthquake a week and a half ago. Atleast 1,400 died in Indian-Kashmir.